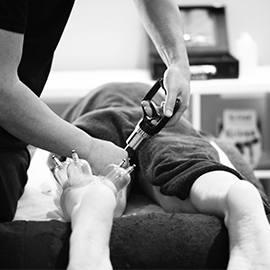 Core Therapy is one of the few clinics in Melbourne that specialise in trigger point therapy. This modality directly focuses on the exceedingly contracted points in our muscle fibers, which are painful upon compression and may cause refered pain and tenderness to other areas in the body. The focused treatment of trigger points could be what you require to recover from chronic symptoms that can seem impossible to fix. 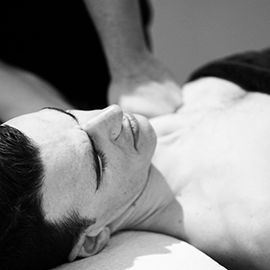 A trigger point therapy session involves locating, resolving, deactivating and elongating the musculoskeletal structures affected to their natural range of motion and length. In the case of muscles, which is where most treatment occurs, this also involves stretching the muscle with various combinations and also focusing on the treatment of fascial lines to elongate the muscle fibers and ease strain patterns. Trigger point therapy succeeds where other modalities tend to fail. Spoil a friend with a massage voucher.